Have you seen a business card without company link recently? The company website is a must for all kinds of businesses today! No matter what your company is doing, the potential company's clients will most likely try to find more information about the company online. Lack of nicely designed website with appropriate information will most likely take your potential client to the someone else's yard. 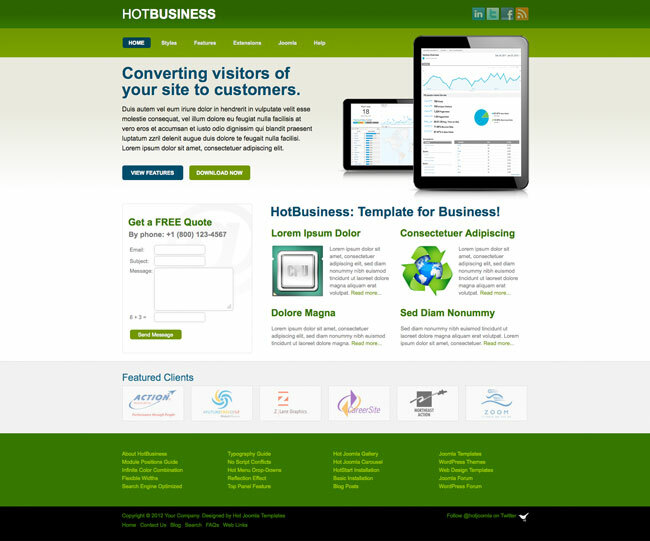 Many businesses today use CMS platforms, such as Joomla for their business websites. The CMS platforms are usually developed for bloggers. However, the business websites are specific kind of websites. They are different from blogs, although it's recommended for every business website to contain a blog. Your company's product and its short description must be positioned in the principal place of the home page! Furthermore, the business website pages don't need dates or author names. But they need a big, clean and obvious contact form everywhere. It will allow your potential client to contact you anytime! And, that's the business website's main goal, don't you think? Regularly updated news pages about your company's activities will give impression to your visitors that your company is "live" and active. While looking at your company's website, the potential client should conclude that your company will not just take money out of his pockets. Modern, clean and regularly updated website will make him assured that your product or services have the same quality. Hot Business is Joomla business template that will help you to develop the company's website fast and easy, and to maintain it regularly without any additional costs. 100% tableless XHTML/CSS. Template uses the modern CSS3 functions. Five pre-defined styles with different main color. 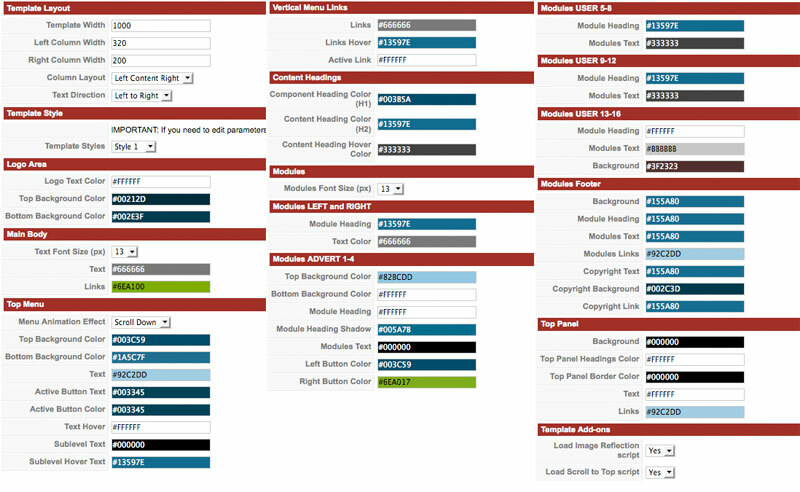 Each color is easily customizable in parameters.Infinite color combination. 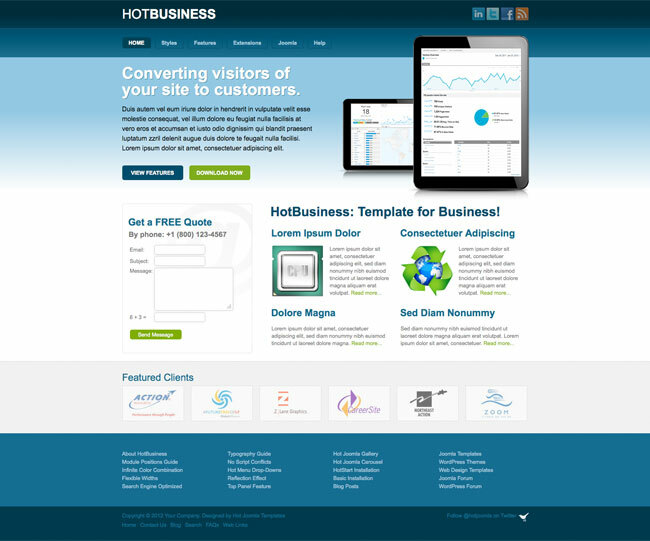 Hot Joomla Gallery and Hot Joomla Carousel modules are pre-installed and configured. Reflection, Top Panel and Back on Top scripts included.